Allanwater Bridge Lodge (AWB) is a Fly-In or Train-In Lodge. 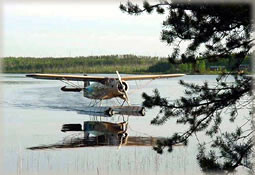 They also operate 3 fly-in remote outpost camps. 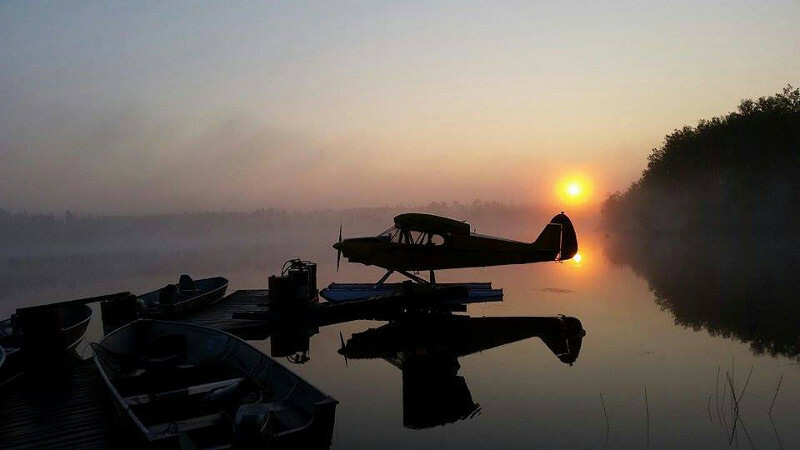 Tucked away in the confines of Northwestern Ontario along the border of Wabakimi Provincial Wilderness Park, AWB is truly one of Canada’s best kept secrets. 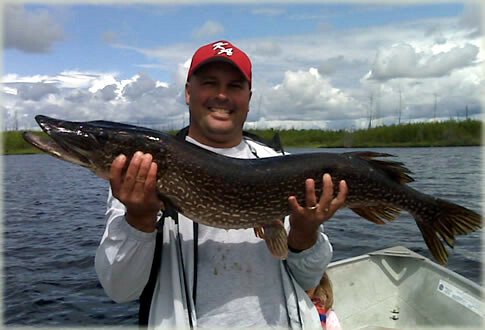 An economical alternative to high-priced, over-fished fly-in camps, AWB is a destination that fulfills every fisherman’s dream – a remote fishery that provides some of the best Walleye and Northern Pike fishing in the world – without costing you a bundle. 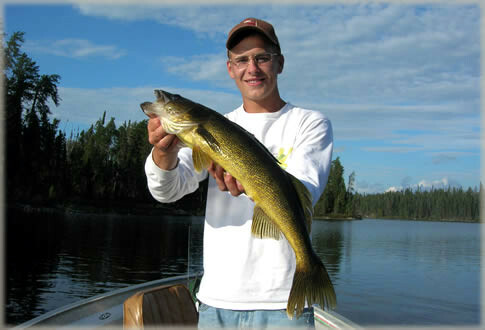 Personal service with world class fishing is our hallmark. Why don’t you troll around a bit and check out the other reasons we’re different. 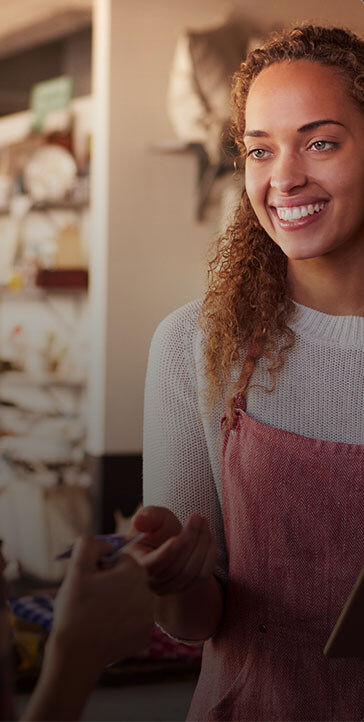 We’re confident you’ll like what we have to offer. AWB has been in the Jelinski family since 1977. It has been a lifelong passion of ours to live in the great Ontario wilderness, and we are thankful that AWB has provided us with that opportunity. As one of Canada’s first and most famous fishing camps, the responsibility of being providers to our guests and stewards of our resources are ones we take seriously. We are proud of the reputation we have earned, and we guarantee that you will receive service that is worthy of your trust and future vacations. 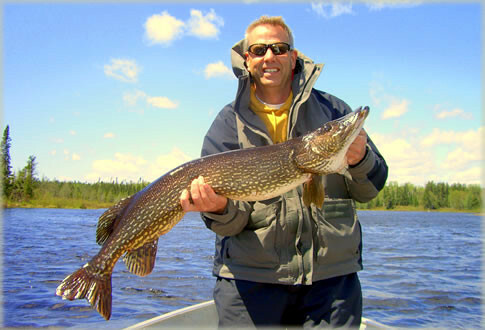 AWB is located about 25 miles east of Savant Lake, in Northwestern Ontario. We’re on the western borders of two of Ontario’s premiere provincial parks- surrounded by old growth forests, structure filled lakes and exceptional scenery. The Allanwater fishery is made up of many lakes and rivers and is about seventeen miles long and four miles wide. 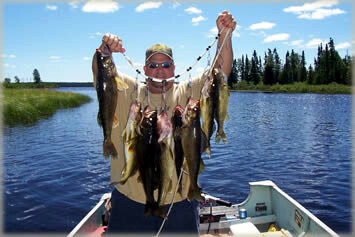 Two rivers, the Brightsands and the Allanwater River supply the Allanwater fishery and flow into our two lakes, Lake Kawaweogama and McKewan Lake. AWB is located at the confluence of these 2 fabulous river systems. The Allanwater River starts about 15 miles south of the camp and has its headwaters in Lake Seseganaga, which is about 15 miles wide and 20 miles long. The Brightsand river is an Ontario treasure and preserved as a provincial waterway Park. 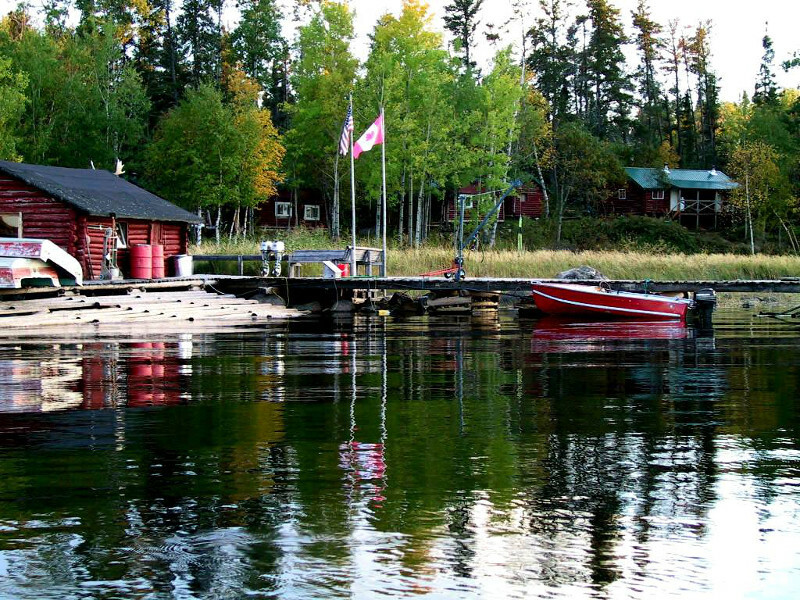 Our lodge is located at the historic site of the former Hudson Bay outpost of Allanwater Bridge. 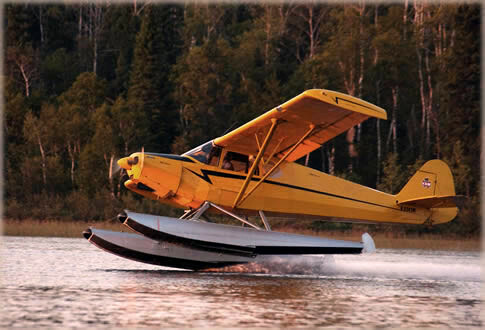 Easy, inexpensive access from Via Rail puts a different twist on traditional fly-in transportation. Load your coolers and fishing gear onto the baggage car from any number of centrally located pick-up points, and you’ll be delivered literally, right to our front door. The journey is remarkable as well! The Via Rail is a coast to coast passenger train, and is filled with eclectic characters from all corners of the globe. Your front row seat will cut through aboriginal forest and boulder strewn lakes while you anxiously anticipate the smell of fresh fish on your fingertips. When it’s time to go home, your trip is capped with another unique experience that so few have had the opportunity to enjoy. You can even mix it up and fly one way if you want the best of both worlds. It’s tough to beat the feeling you get when that Beaver or Otter cranks up the rpm’s and you lift off over the vast Ontario wilderness. It truly is a special experience. Now, all you have to do is choose. When it’s all said and done, both are great options and both will get you here, which is what’s really important. Give us a call and we’ll work some numbers up for you. If you desire a location that provides exclusive seclusion, we have the perfect location. AWB has three beautiful, fully equipped outpost cabins. 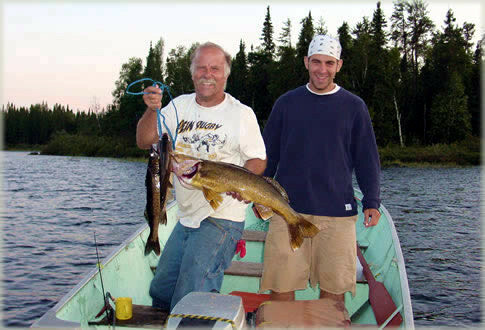 All three hold limitless fishing opportunities and wilderness solitude wrapped around the beauty of the great Northern Ontario wilderness. 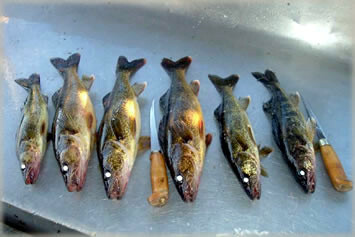 The first is twenty miles south on Lake Seseganaga and the second is forty miles north on Burntrock Lake. Just seven miles downstream on the beautiful Palisades River chain is our Redman Lake Outpost. 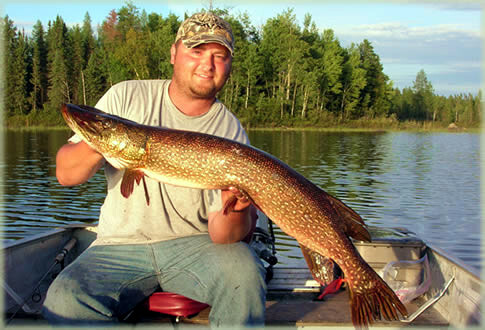 Needless to say, Walleye and Northern Pike fishing are excellent at all three locations, although our Burntrock location is primarily a Walleye lake. All outposts are accessible only via air, but you can save time and money by taking a float plane directly from Savant Lake to your destination. All necessary arrangements can be made, with your comfort and high expectations being at the top of our list. Whether it’s a first time family fishing trip or a group of pals that want to get together for a remote fishing adventure, our Outpost Adventures are the ticket to a lifetime of memories. Check out the lodging section for more information on the cabins.